Take a wee bit of ancient folklore, mix in some spectacular special effects and a magical cast (including Sean Connery) - and you've got one of the most enchanting fantasies of all time! A frisky old storyteller named Darby O'Gill is desperately seeking the proverbial pot of gold. There's just one tiny thing standing in his way: a 21-inch leprechaun named King Brian. In order to get the gold, Darb… y must match his wits against the shrewd little trickster - which proves no small task, indeed! 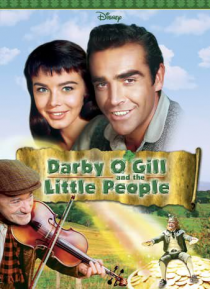 Fall under the spell of DARBY O'GILL AND THE LITTLE PEOPLE for a fun-filled evening of magic, mirth, and nonstop shenanigans!